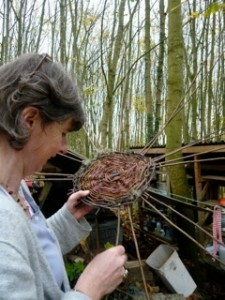 Hedgerow Basketry held annualy usually in February, with basket maker Lynda Shaw. 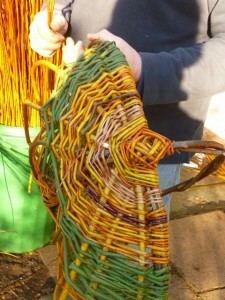 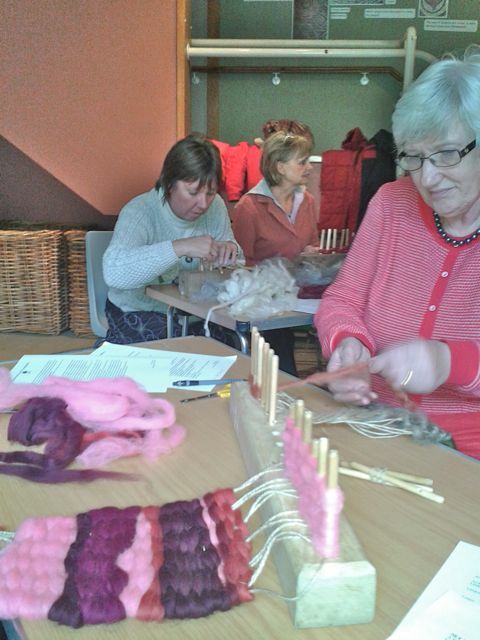 Participants are shown how to make frame or gypsy baskets. 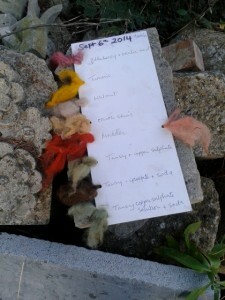 Plants such as ivy and bramble are collected and left to mellow before the course begins. 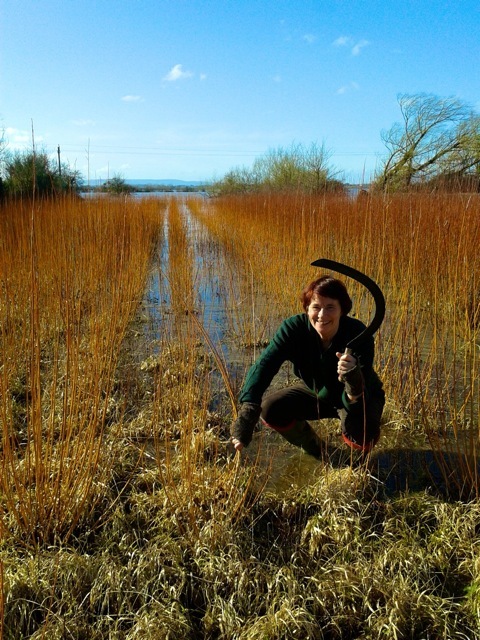 Material for basket making is supplemented by a supply of golden willow from a disused withy bed in the nearby locality. 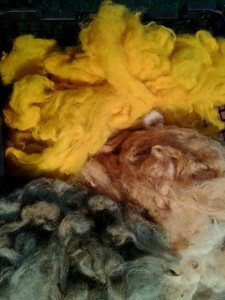 Natural Dyes: ‘ A Day 2 Dye 4’ held annually usually in September. Plant materials are sourced from the neighbouring woods and hedgerows and supplemented with some bought natural dye stuffs and mordants. 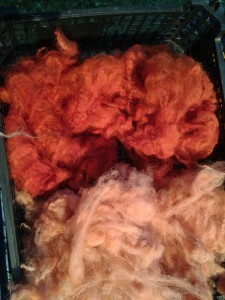 We experiment with naturally made mordants and often achieve startling results with household products! 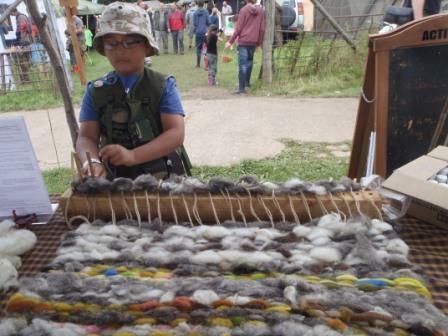 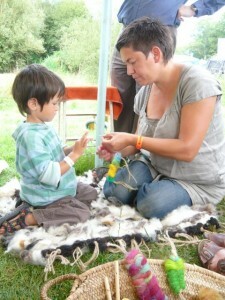 Woolly bugs – a great hit with children and family workshops.